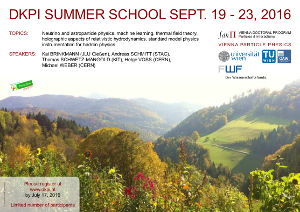 The DK Summer School 2016 will take place in 3213 Frankenfels (Pielachtal). Registration is closed since July 17, 2016. Please contact Simone Krüger in case of questions.